well .. this is a test that specifically suit to answer above question.. There is a quiz/survey coordinated by Cognitive Daily about this. Within 3minutes.. without much thinking.. Type as much as you can..
and then see the result.. I only managed to produce this short ..
Every single day we tend to do as much as we like. major impact toward our own life. That is someting inside us that are keep changing every day. Our age for instance doesn't stay that long every day..
the other we felt is very short. Nevertheless , we must live the life to it fullest. but not necessarily the first thing in life to go for. Family is another major thing. And most importantly is ourselves..
wondering the word count ? 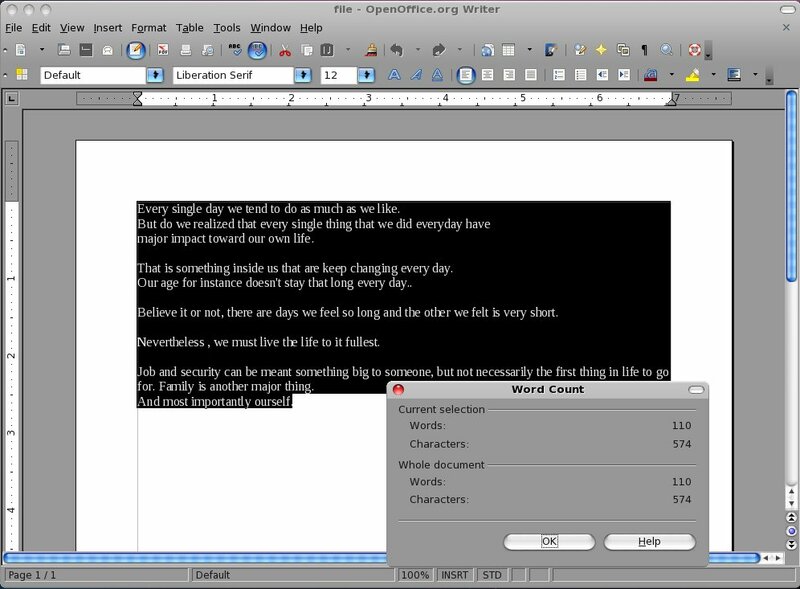 here is the screenshot when copy/paste above article into a OpenOffice Writer. you can participate in the survey before 19th November 2009..
Why .htaccess having no effect ? perhaps.. disable the authimage plugin ..
then shall be able to upload the new image again..
hahaha.. something break.. i told you so..
edited the authimage.php to become like this..
don’t know if someone else understood this problem / solution or not..